This year’s Fort Lauderdale International Boat Show will showcase a larger selection of superyachts than ever before. The 257-foot Lurssen yacht TV will be one of six yachts larger than 200 feet next month at the Fort Lauderdale International Boat Show. Among the more than 100 yachts larger than 100 feet that will be on display at the Nov. 3-7 show are six massive vessels larger than 200 feet. TV, a 257-foot Lurssen, has accommodations for 18 guests in 10 staterooms and is estimated to cost about $103 million. Moran Yacht & Ship is showing the superyacht at the Bahia Mar Marina Face Dock. Galactica Super Nova, a 230-foot Heesen, will be on display at the Hall of Fame Marina. The yacht is the largest Heesen has built to date. Suerte, a 227-foot yacht by Tankoa Yachts, was designed by award-winning Francesco Paszkowski Designs and will be displayed with Northrop & Johnson at the Hall of Fame Marina Face Dock. 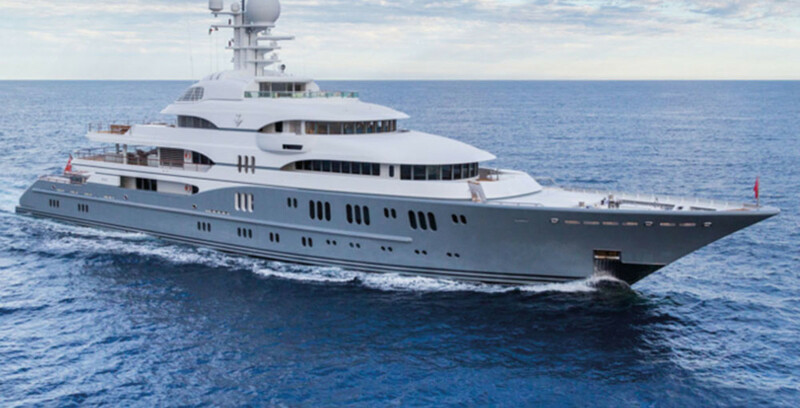 Click here to view all six of the superyachts larger than 200 feet that are slated for the 57th Fort Lauderdale International Boat Show.